What is the meaning of Trappist ? 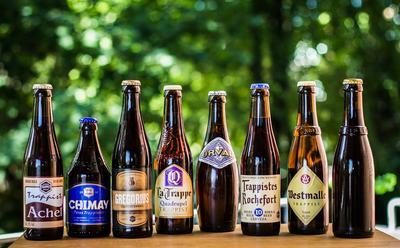 Trappist beers are widely known among people who like a good beer but not everybody knows exact what "trappist" means and how it relates to beer. 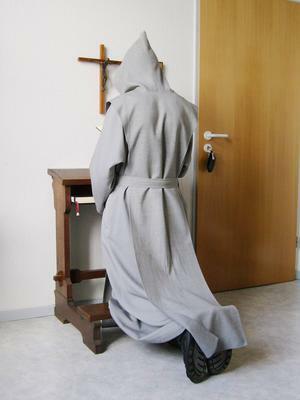 "Trappists" are monks that belong to the Order of Cistercians, which is a Roman Catholic religious order of monastics. The nuns in this order are called "Trappistines". The historical roots of this religious order actually doesn't lie in Belgium as one would expect, but with the La Trappe Abbey. The movement started after a relaxation of practises among Cistercian monasteries. The Trappists separated from the Cistercian order and after approval of the Pope, formed an completely separate monastic order. Contrary to what you may think, there are many Trappists and Trappistines who do not brew beer. Beer is only brewn by Trappists monks in Belgium, Holland, France and the USA. But there are monks and nuns of this order in every continent except Antarctica; from Angola to Belgium, from France to Argentina, from Venezuela to New Zealand. France has the largest number of Trappist monasteries. Estimates of the total number of monks and nuns lies around 2100 and 1800 respectively. Their rule dictates that they must live by the work of their hands. As a result they live off and obtain income from goods they produce themselves, for example cheeses, bread and of course the trappist beers which are unique and widely known and revered all over the world. They don't only produce food and drinks; the Trappist monks of Tre Fontaine for example produce wool from lambs they raise. The wool is used to make clothing for bishops. Alcohol consumption is not banned for these monks and nuns so most often they also consume the beer they brew. The Westvleteren monks have a "table beer" (a 4% "Dubbel") which is for their consumption only and is not sold. Perhaps this beer is even more mythical than the revered Westvleteren 12? Now, what constitutes an authentic Trappist beer? The rules say that it must be brewed within the walls of the monastery either by the monks themselves or at least under their supervision. The brewery may not be of primary importance to the monks or nuns. Whatever business it produces must abide by the rules of the Order of the monks. Finally, the brewery should be a profit making venture; whatever the proceeds are they should cover the living costs of the monks and the upkeep of their housing quarters and grounds. Whatever is left should be used for social work or donated to a good cause. The only Trappist beers that are official reconised are the Belgian beers Achel, Chimay, Orval, Rochefort, Westmalle and Westvleteren. In Holland La Trappe is also a trappist beer. Finally there is Spencer in the USA and Stift Engelszell in Austria. Soon I'll be expanding the offerings of my online shop to offer you most of these delicious Trappist beers. So for now you can only buy Westvleteren 12 but soon that will change. Stay tuned!